The Norfolk Sheriff’s Office provides all patients with high quality health care services. Services provided focus on the delivery of care with an emphasis on health promotion, the identification and treatment of acute medical conditions as well as continuing treatment for chronic medical conditions. In addition to standard medically oriented services, the unit provides mental health, dental, podiatry, optometry and chronic infectious disease services. The Health Services Unit maintains a full medical/nursing staff, which includes a medical director and a full cadre of licensed nurses. Nursing staff is available for patient care needs 24 hours a day, 7 days a week. Sick call is provided 5 days a week. The Health Services Unit is not designated as an infirmary; therefore, acutely ill patients requiring medical interventions and treatments are referred to outside medical facilities. Educational services are provided for inmates throughout the facility. The curriculum includes an array of topics including STD’s, hepatitis, effects of smoking, nutrition and a men’s health class, which allows participants to become peer educators. The Norfolk Sheriff’s Office provides HIV testing and counseling, as well as case management for HIV positive patients/inmates, which also includes discharge services. HIV positive patients/inmates also receive one to one counseling. The Norfolk County Sheriff’s Office provides dental care under the direction and supervision of a licensed dentist. The dental staff screens all new admissions within 14 days. 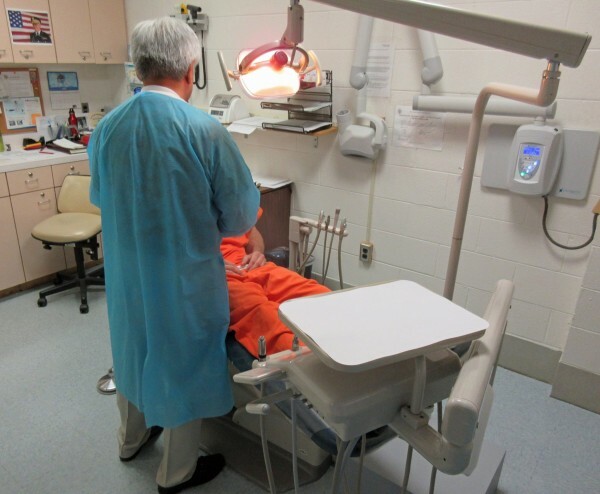 The dentist treats patients/inmates who require routine dental services on-site. Routine dental services include restorative dentistry as well as exodontia services when indicated. Patients who require specialized dental services are referred off site for more comprehensive assessment, diagnosis and treatment. Oral hygiene education is provided as part of the initial dental screening and is provided by a registered dental hygienist. 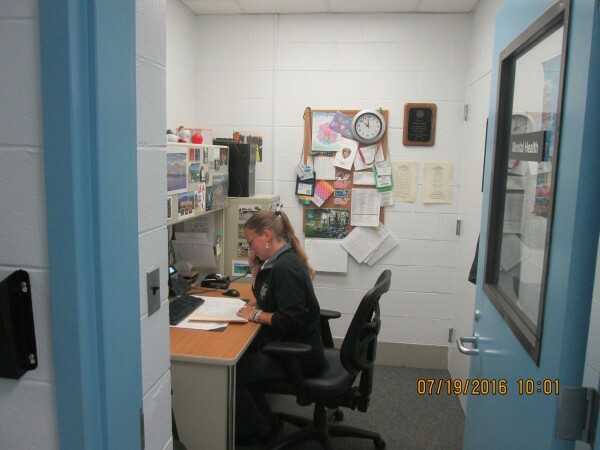 The Mental Health department provides services to the inmate/detainee population. Individuals are seen for a mental health intake upon admission to the facility at which time their level of need for ongoing mental health services is determined. Psychiatric services are offered to those requiring a medication evaluation and medication management. Individuals are able to request mental health services at any time through security staff and the sick slip process. Counseling is also provided as well as crisis intervention. When a higher level of psychiatric care is warranted, clinical staff consults with specialty units or psychiatric hospitals to ensure that such care is provided. In addition to the above mentioned services, the mental health department is working closely with community providers to refer individuals for wrap around services to assist with maintaining treatment compliance upon their return to society. The Norfolk Sheriff’s Office began the Vivitrol Program in December 2014. Vivitrol (Extended-Release Naltrexone) is a non-narcotic, once-monthly, injectable medication used to treat opioid and alcohol dependence. Participation in the program is offender-initiated and offered to all offenders. The program offers participants: Registration with Mass Health Insurance, Medical clearance, Pre-Release counseling, and treatment with the medication Vivitrol within the week prior to release. Before release, participants are scheduled an initial appointment at a community clinic within 1 week of release to establish a plan of care for continued comprehensive treatment. Treatment plans always include behavioral health treatments and/or involvement in support groups in addition to medications that support recovery. Participants’ progress/status post-release is monitored by NSO nursing staff. In April 2017 the Norfolk Sheriff’s Office partnered with Manet Community Health to provide Narcan education to offenders during their incarceration. Prior to their release date offenders are trained on the risks of overdose and the proper administration of Narcan. On the day of release the offender is provided a Narcan kit and patient education. All medical records are maintained and used in a manner, which protects the confidentiality of the patient/inmate. All active patient/inmate records are stored in a confidential area in the Health Services Unit. We retain inactive records for 30 years post release.